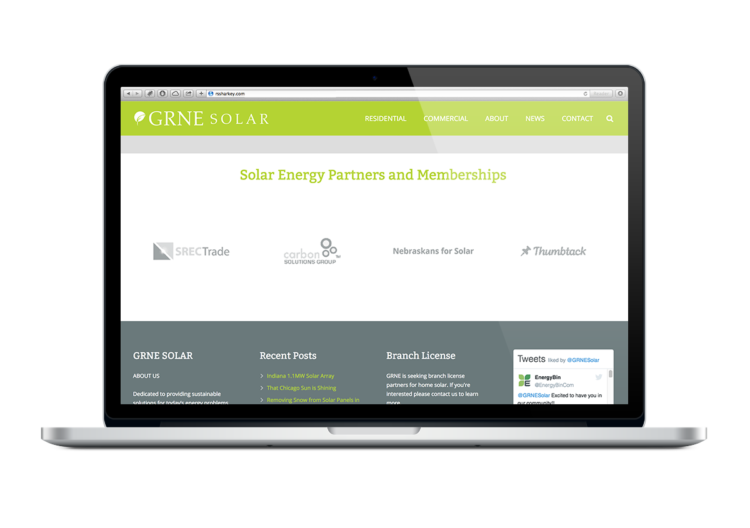 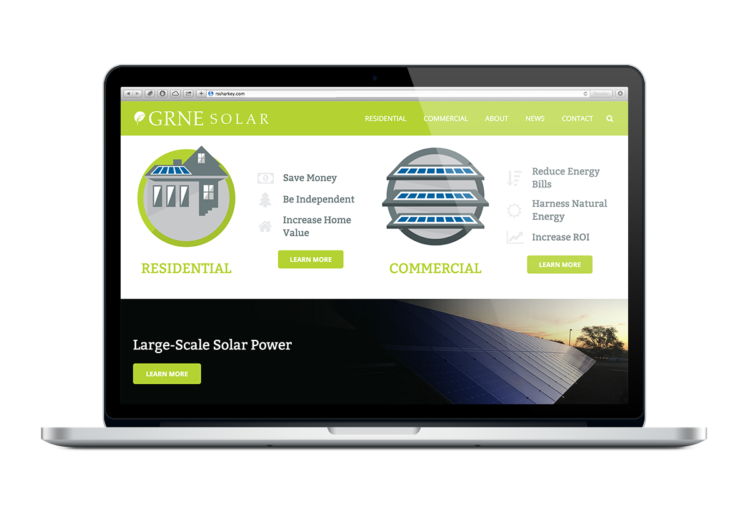 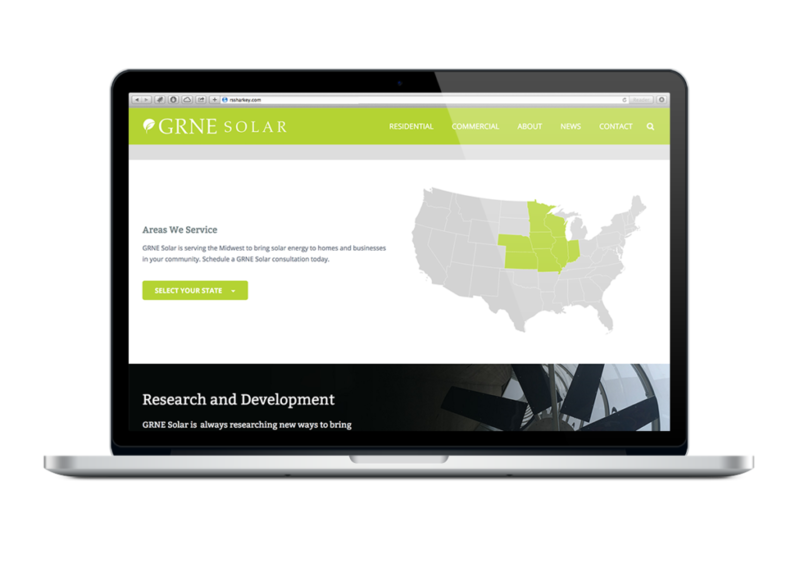 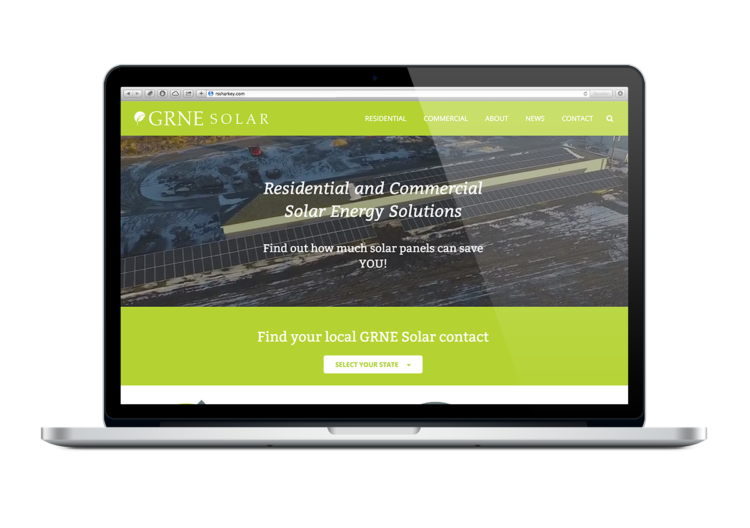 GRNE Solar had an existing website that needed to be updated with their new brand name and company focus. They were switching for more exploratory R&D work to service residential and commercial companies looking to go green. 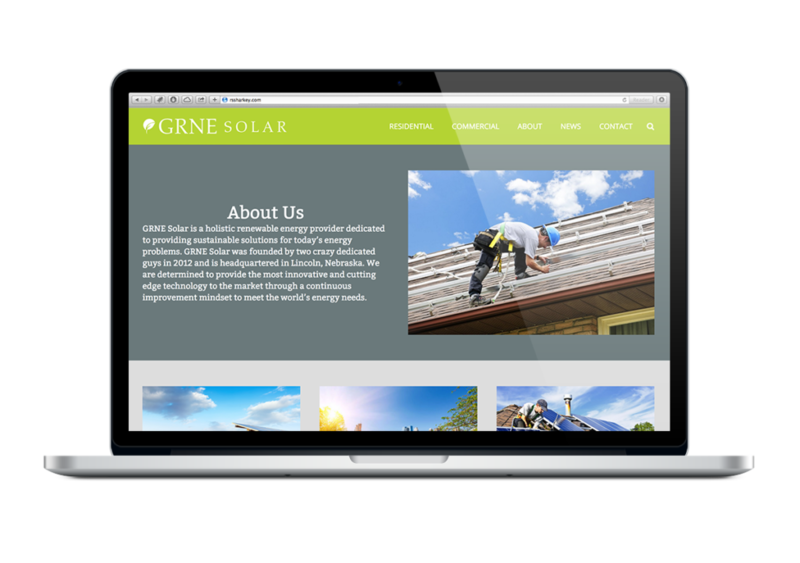 I worked with them to tweak the content and layout of their site as well as updated some of the associated visuals.